I am having the same problem in Windows 7 in ESXi with Realtek NIC's and the ONLY conclusion I have been able to draw is that my NIC's are what are causing the problem. I DO have a 802.1q trunk from pfsense to my 3750g which works great! 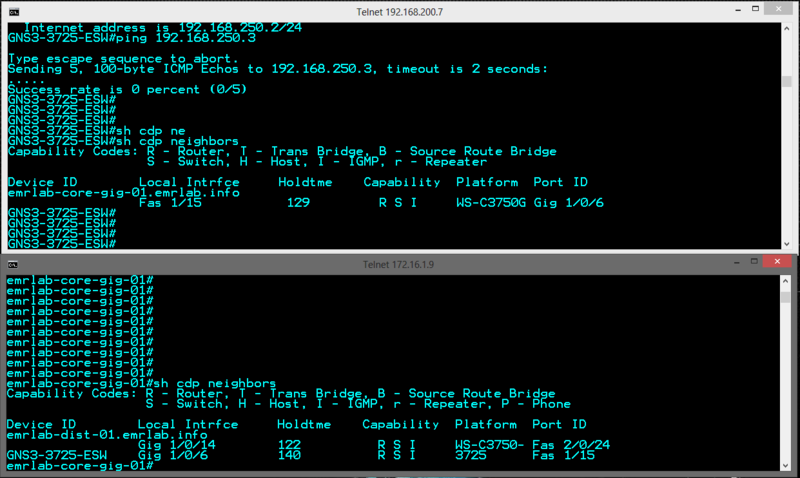 However, I just can't get GNS3 routers/switches to talk to my outside network. I would like to hear if anyone has had luck with Intel NIC's inside ESXi and tagging before I make this decision. What do you guys think? This is pretty much driving me nuts. The problem you see is because of the DRIVER for that specific OS for the device you are using. I can tell you that the following model work very well out of the box, no tricks required. I tested it under Windows 7, Debian and Ubuntu. My Dynamips is on a VM on Ubuntu, VmWare running on Windows 7 and Q-and-Q working like a charm. The only problem I see is that it is not a Gigabit Adapter but only a 100 MBps one. No problems encountered until now because of this limitation. I tested at least 10 different models, especially I was interested in the chipset not the model of the card. I was not able to make any Intel chipset work with VLAN tags, even if some users reported success on some specific chipsets. Also, I was not able to make any other Realtek chipset work with VLAN tags. This is the only Realtek chipset I could find which has driver code to handle VLAN tags. Thanks for the recommendation. At less than 10$ I will most certainly give it a try - will let the board know the results.